Why choose us for SCE in Acute Medicine revision? Maximise your revision time with our bank of ‘Best of Five’ questions. Our questions are mapped to the Specialty Training Curriculum for Acute Internal Medicine, published by the Joint Royal Colleges of Physicians Training Board. Our Specialty Certificate Examination in Acute Medicine questions are written by doctors that are experts in their specialty and have extensive knowledge of the exam structure, difficulty, and curriculum. Use BMJ Onexamination to give yourself the best chance of this exam first time. Revise effectively by identifying your weak areas and tracking your leaning. Elora is a Consultant in Acute Medicine in London. Elora has a strong interest in healthcare improvement and leadership in the NHS, and has successfully completed a masters in medical management and a postgraduate certificate in leadership. Putting theory into practice, in 2010 Elora worked on quality and service improvement projects as a clinical leadership fellow in a busy west London hospital. As a fellow she helped to establish a leadership and patient safety education programme for junior doctors. A keen writer, Elora has authored a medical textbook, several book chapters and published in prestigious peer reviewed journals such as The Lancet. 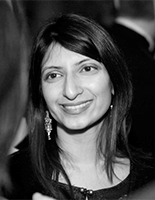 She is a contributing author for e-Learning for Healthcare (e-LFH), and is an editor for the BMJ Group. Elora has practised medicine since 2001 and has experience of working in the UK, India and as a ship's physician in the Caribbean. In 2014 Elora was appointed to the role of Acute Medicine Section Editor. As a Section Editor she is responsible for a team of medical question writers that are experts in their specialty and have extensive knowledge of the exam structure, difficulty and curriculum. Elora will review all the questions and instruct authors on what new questions to write and add to the SCE in Acute Medicine revision resource. Elora will also answer your queries on questions and respond to the feedback you give us on our questions.